One of the simplest ways to customize a basic drink recipe is to add flavor with infusions. You can play around with alcohol infusions, which can take some time. Or you can use flavored simple syrups for a much quicker flavor boost. A simple syrup is traditionally a syrup made with water and sugar. Usually in a 1:1 or 2:1 sugar to water ratio. Heat is the keep element as the water needs to be boiling so the sugar dissolves. There are plenty of articles out there that go into the science of how and why. Personally I get the basics, but I get excited about amping that syrup up with flavors. 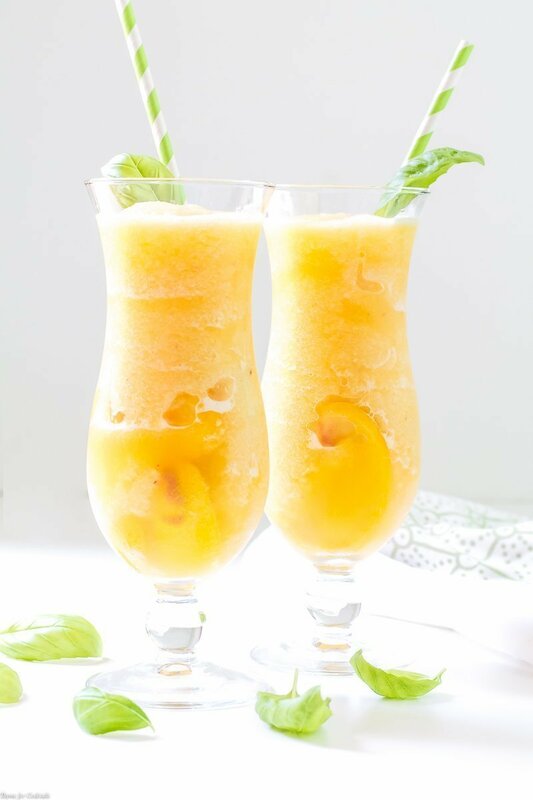 Like the basil simple syrup used in this Frozen Peach Basil Daiquiri drink recipe. I prefer a lighter syrup made with one part water to one part sugar for infusions. Too much sweetness can over power delicate flavors. Another fun variation is to use different types of sweeteners. Something like a cinnamon brown sugar syrup would be delicious drizzled over ice cream or in a creamy latte. If playing around with seasonal ingredients is your thing, then grab the recipe for this basil simple syrup below. 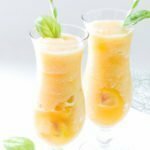 After that jump over to the SoFabFood site for the full Frozen Peach Basil Daiquiri recipe along with a few helpful tips! 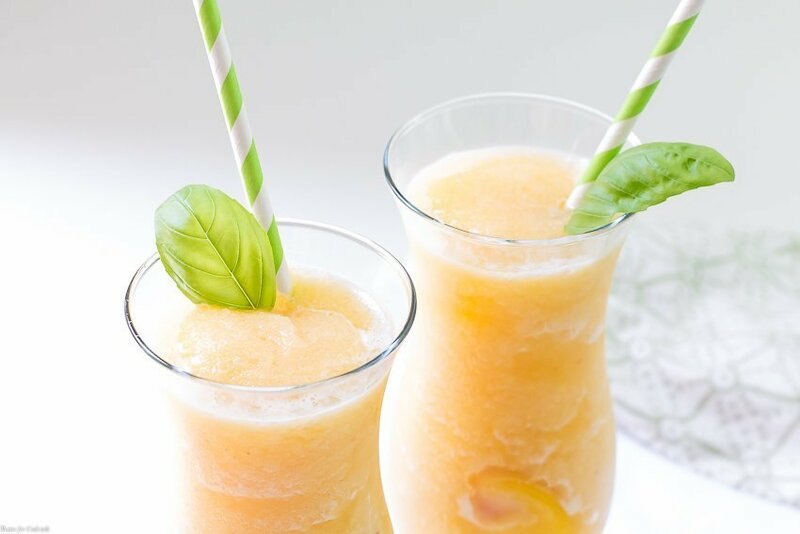 I hope you like this Frozen Peach Basil Daiquiri recipe as much as my crew does. If you love this seasonally inspired drink recipe, you can find more like it by checking out my Cocktail section! For recipe inspiration delivered to your inbox, subscribe to my newsletter, follow my photography journey on Instagram, and for generally inappropriate humor follow like me on Facebook! Add sugar and water to a medium saucepan. Bring to a low boil, stirring until sugar is dissolved. Boil for 1 minute. Remove saucepan from heat. Stir basil leaves into syrup. Let syrup cool completely. Remove basil leaves and discard. Store cooled syrup in a lidded jar in the refrigerator for up to 3 weeks. Tip- For a lighter simple syrup use a 1:2 sugar to water ratio. Full recipe for my Frozen Peach Basil Daiquiri using this basis simple syrup.